Protein Blend (Whey Protein Concentrate, Premium Whey Protein Isolate, Calcium Caseinate, Egg White Albumin), Maltodextrin, Crystalline Fructose, Medium Chain Triglycerides, And Natural & Artificial Flavors, And Soy Lecithin. 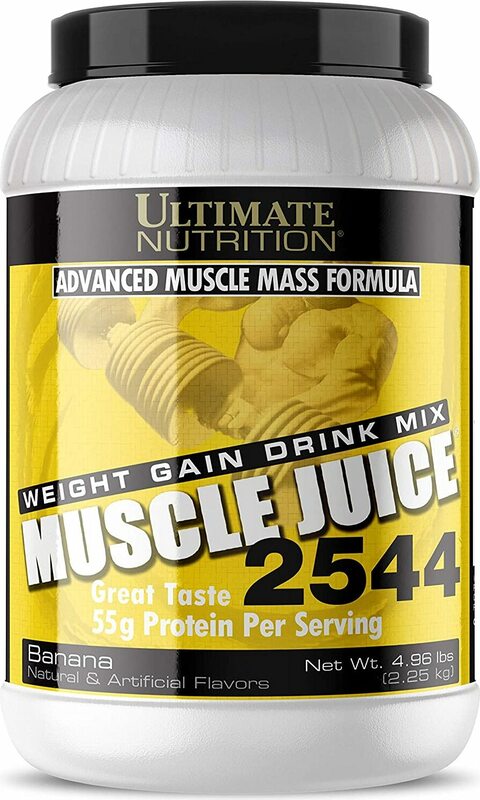 Add four scoops of Muscle Juice (250g) to 18 ounces of water or milk. Mix. Protein Blend (Whey Protein Concentrate, Premium Whey Protein Isolate, Calcium Caseinate, Egg White Albumin), Crystalline Fructose, Maltodextrin, Medium Chain Triglycerides, Chocolate Cookie Pieces*, Natural & Artificial Flavors, And Soy Lecithin. *Chocolate Cookie Pieces Ingredients: Sugar, Enriched Flour (Wheat Flour, Niacin, Reduced Iron, Thiamine Mononitrate [Vitamin B1], Riboflavin [Vitamin B2], Folic Acid), Partially Hydrogenated Soybean Oil, Cocoa (Processed With Alkali), High Fructose Corn Syrup, Baking Soda, Cornstarch, Salt, Soy Lecithin (Emulsifier), And Vanilla. Protein Blend (Whey Protein Concentrate, Premium Whey Protein Isolate, Calcium Caseinate, Egg White Albumin), Maltodextrin, Crystalline Fructose, Medium Chain Triglycerides, Natural And Artificial Flavor, Beet Root Powder (For Color), And Soy Lecithin. Protein Blend (Whey Protein Concentrate, Premium Whey Protein Isolate, Calcium Caseinate, Egg White Albumin), Maltodextrin, Crystalline Fructose, Medium Chain Triglycerides, Natural & Artificial Flavors, Beet Root Powder (for color), and Soy Lecithin. 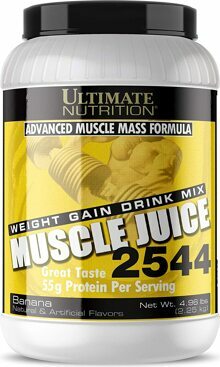 Mix 250 g (4 rounded scoops) of MUSCLE JUICE 2544 with 500ml of water, juice, 2% milk or your favorite beverage. May be consumed 1 to 3 times daily. For best results use a blender. Contain at least 4 different types of quality Proteins including Whey, Egg, and Caseinate? Banana This is a Buy 1 Get 1 FREE offer!